London - World Rugby chiefs have slammed a controversial study that claims tackling and scrums should be banned in schools. Allyson Pollock and Graham Kirkwood from the Institute of Health at Newcastle University argue that most injuries in youth rugby occur due to the collision elements of the game. Writing in the British Medical Journal (BMJ), they said that ministers should "put the interests of the child before those of corporate professional rugby unions". Removing collisions from school rugby is likely to "reduce and mitigate the risk of injury" in pupils, they said. The researchers called on the UK chief medical officers to advise the UK Government to remove "harmful contact" from the game. The article comes at a time when issue of concussions in professional rugby is become a major concern. But World Rugby hit back at the claims in a strongly world statement that defended their sport's approach to safety issues. 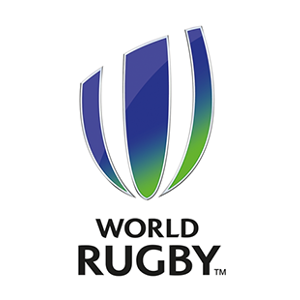 "World Rugby and its member unions take player safety and welfare very seriously and proactively pursue an evidence-based approach to reduce the risk of injury at all levels," a World Rugby statement read. "The continual claims made by Prof Pollock are not based on like-for-like injury statistics and her extreme and alarmist conclusions are simply not supported by the data. "For example, it is well documented that, for most sports, injury rates increase with age and yet the research quoted mixes 9-12 with 18-20 age groups. "Contrary to Pollock's opinion, the systematic published studies where injury has been properly defined and monitored, suggest the risk for pre-teens is not unacceptably high compared to other popular sports. "Of course, as with all sports there is some risk of injury associated with rugby and governing bodies have a responsibility to mitigate that risk as far as possible. "That is why rugby for young people at schools or clubs exists in different forms, both contact and non-contact, and significant work has been undertaken over a number of years to develop a structured progression. "The responsibility for every sport is to manage the risk as best as possible banning the tackle supports reducing activity and reducing activity is associated with risk."